Find all Game Code stores and prices to download and play Blood Bowl 2 at the best price. Save time and money: Compare CD Key Stores. 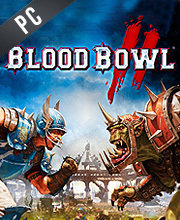 Activate Blood Bowl 2 CD Key on your Steam client to download the game and play in multiplayer. You can participate to these tests by adding comments about your digital download purchase in the store review page. Enjoy the best deals for Blood Bowl 2 CD Key with Allkeyshop.com! Blood Bowl 2 is a strategy game with a touch of American football elements, developed by Cyanide Studio and published by Focus Home Interactive. 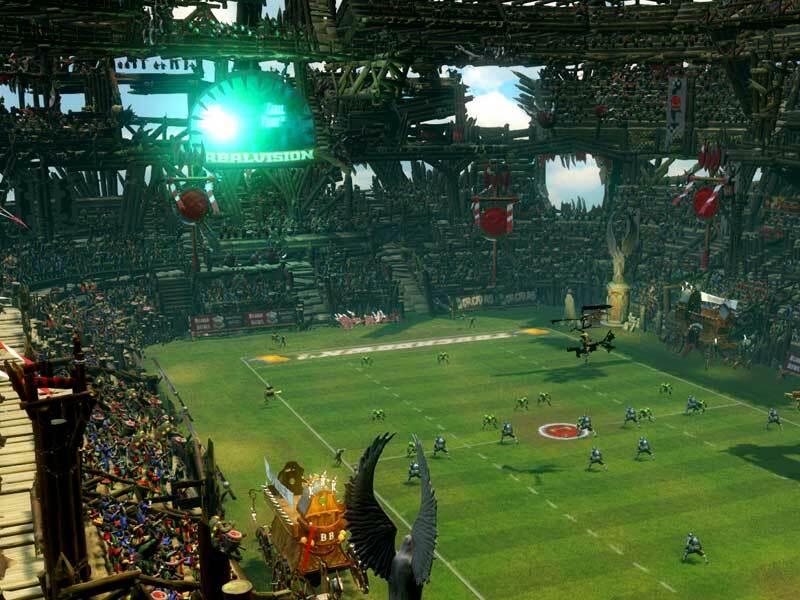 The game takes place in a fantasy universe Warhammer and with a mix of American football, players are given a game with an explosive cocktail full of humor and brutality. 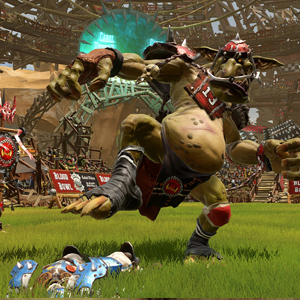 Keeping the ingredients that made the previous game a success, Blood Bowl 2 raised the bar even higher. The new graphics engine offers a beautiful game, the animations are spectacular, the sound effects and atmospheres are realistic and we are fully immersed in this original universe. In the single player campaign, you take the head of a team from the 8 races of the game: Humans, Orcs, Dwarfs, Skaven, High Elves, Dark Elves, and Chaos Bretonnians. You must lead your race to the top of many unique games with an AI that will challenge your management skills. The League Mode puts you in the shoes of a coach, you have to manage your club, your team, your stadium … Your Players gain experience progressively through their actions, so they will unlock special abilities to be even more effective. 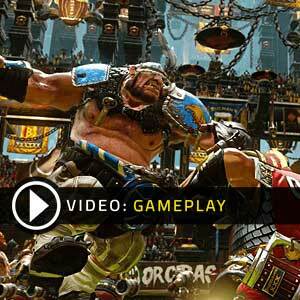 Persistent Multiplayer is a very important aspect of Blood Bowl 2. It puts you to the test against other players via the Internet. Your players are aged progressively until they retire or if they are not so lucky, it is also possible that they are die on the ground. You can buy and sell players in order to build the ultimate team, which will take you to the top of the league! Legendary: Blood Bowl 2 + Blood Bowl 2: Team Pack + Blood Bowl 2: Official Expansion. There are 53 offers ranging from 5.06€ to 46.43€. 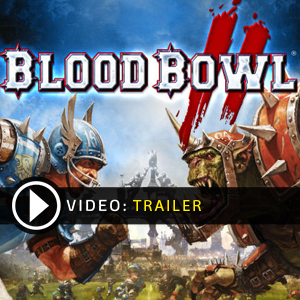 STEAM CD KEY : Use the Steam Key Code on Steam Platform to download and play Blood Bowl 2. You must login to your Steam Account or create one for free. Download the (Steam Client HERE). Then once you login, click Add a Game (located in the bottom Left corner) -> Activate a Product on Steam. There type in your CD Key and the game will be activated and added to your Steam account game library. EUROPEAN STEAM GIFT : It’s a steam gift for Europe which requires an European IP address to activate and to play Blood Bowl 2 on Steam. Read carefully the store description about region and language restrictions. STEAM GIFT : A Steam gift is a one-time transfer you receive. You activate and install Blood Bowl 2 to play on Steam, it is a non-refundable game that stays in your Steam games collection. Please read the store description about any language or region restrictions. A very solid version of the orginale Tabletop with a much smoother interface than the first iteration. Instant gaming because it looks like the cheapest.